Saturday February 11th 2012 was intended to be just a simple ladies night. A long term friend (now sister ) ran past me that Touch’e – formerly known as Reign was having an event. What type of event? I was not very aware of before stepping into the bar lounge but my motive was to ultimately have a good time. From what I heard there was some changes to the ambiance of the club since previous management. I envisioned walls knocked down, space being opened and bars being shifted around the room. However, upon entry I noticed not much of a change. Paint was applied to the walls, opposite of the upper levels bar the booths were removed and there you had it – Touch’e…a name change a tad bit more space. I was not expecting a vendor mixer. Business people with goods and services set up in every corner, stretching along most of the lounge area ready to do actual BUSINESS. Interestingly enough although I unknowingly walked into this event I had to pat myself on the back for remembering to carry my business card holder which at this time was freshly refilled with cards. Jewelry – which happens to be a girl’s next best friend was the first station I browsed through. Although I love wearing stylish, unusual costume pieces, nothing much really caught my eye so I moved along cutting through the small crowd to mix with other stations. I caught eye of a pleasure table that I probably would have touched base with had there been a curtain for privy purposes =) so I digressed. 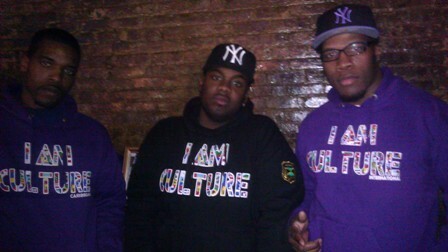 As I actively mixed and mingled I had the pleasure of meeting a group of gentlemen who had a station set up promoting their brand “I AM CULTURE”. When asked what there company was about I was told that they aspire to share “REAL” knowledge about cultures of all walks and the line of casual wear is to broaden the acquaintance of the brand. 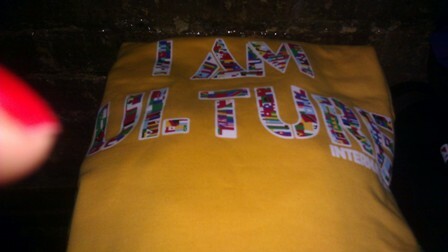 Getting more familiar I learned that the “I AM CULTURE” team has been orchestrating a fashion event for the month of March. They have found a way to bring several designers together to put on a show. As I continued around trying to take most of the event I was approached by a young lady by the name of Natasha who said she specialized in “Making Faces”…literally. She handed me a business card and invited me to pay her a visit. I ordered a cocktail and shimmied through the crowd because I was anxious to see what she had to offer. As I got to the station I noticed glosses, lip colors and shadows on display. By the name of the business my initial philosophy was makeup consultant and I had already come to the event with my face beat. Although I had my lipstick intact that evening and did not want to go through the hassle of reapplying trying to nail the hot pink hue I concocted by the mix of a lighter pink and a couple dab’s of red – I thought to myself a new addition to my lipstick collection would be a chic investment. 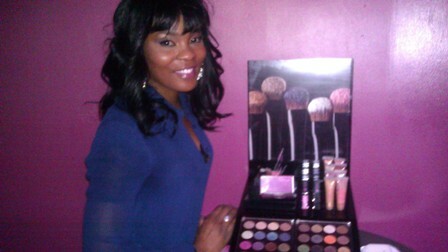 As I got a chance to speak to the young lady who founded the business I came to understand that “Making Faces” was not only a consultation and application service it was actually a cosmetic line. A cute name I thought and fancy way to incorporate both the service into the brand collectively. I went for the pinks – selected my color and went down the list of things I look for when shopping for lip products. Texture, smell and end result. I was sold and left a happy shopper. Natasha was a very welcoming professional young lady. 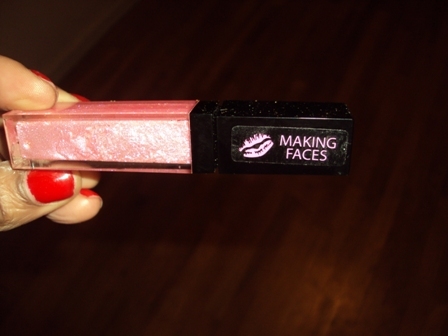 She owns and runs “Making Faces” and I wish her much success. The highlight of my night was the fact that I once again got to shoot the breeze with my sisters in the company of good music and great prices =). I Say That to Say This…it is always possible to incorporate a good time into business. I am very impressed that more and more young people have the mind for business and putting work into establishing making their dreams become a reality.